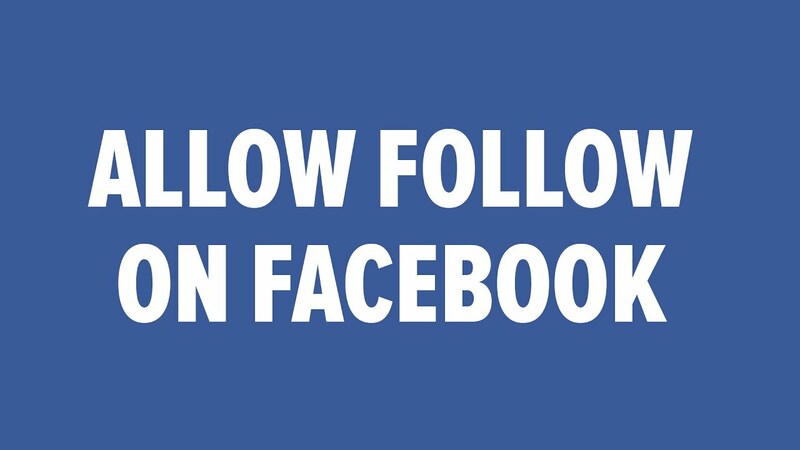 You have good marketing reasons to have a Facebook Profile with the Follow button activated. If you already have lots of Facebook Friends who are more like potential customers or clients, and you haven’t taken the time to create a business Page (and probably won’t), this approach is for you! Click the down arrow in the upper-right corner of Facebook. Click Followers on the left sidebar. Select Everybody from the drop-down menu next to the Who Can Follow Me section. Adjust the settings to your liking for Follower Comments and Notifications. Enabling the Follow button is optional. You can enjoy a Profile and share with only Friends and family; you don’t have to turn on the Follow button. After someone follows you, that person sees your Public updates in his or her News Feed. 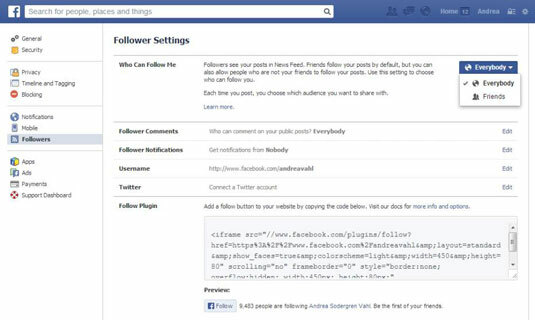 People may also discover your Profile through the People to Follow box on the right side of their News Feed or through their Friends’ News Feed stories. Followers can share your Public posts, which broadcasts your post and Profile to a larger audience. You can have an unlimited number of followers (no more 5,000 Friend limit). You can block people from being able to follow you by adjusting your Privacy Settings Block List. You can connect with and promote to people on Facebook who prefer to subscribe to instead of like a business Page. When your Follow button is open, anyone who requests to be your friend automatically becomes a follower unless you then block them. Now you know they’re getting your public updates; you don’t have to friend them unless you want to also get their updates. When you unfriend someone, they remain a Follower unless you block them. You can unfollow a friend. You are still Friends, but you do not receive their updates in your News Feed. Personal profiles get more exposure in the News Feed due to Facebook’s News Feed algorithm. You have a better chance of being seen if you’re also using your Personal profile to post about your business.